Léonarda is the name that recently divided the French political government. Léonarda, a 15-year-old undocumented Kosovar schoolgirl was deported on Oct. 9 with all her family after more than four years of living in France. Whereas it could have been a ‘usual’ expulsion, this event revealed the growing divisions among the French government unable to unite around common policy. Moreover, this cacophony is one more among many others since socialist President François Hollande came to power in May 2012. French people are losing confidence in the actual government and may soon express their discontent by a massive right wing swing in the upcoming municipal elections in March. On Oct. 9, Léonarda Dibrani, her five brothers and sisters as well as her mother were sent back to Kosovo, their alleged country of origin. Her father, who was expulsed just a day earlier, later revealed to the media that he lied to the French authorities and admitted to hiding his Italian origin, thinking that it would be easier to get his asylum status. This expulsion was the result of more than a four-year administrative procedure by which the Dibrani family tried to obtain a refugee status. But on Oct. 9, they had no choice but to leave France. The decision aroused consternation among Léonarda’s teachers, who demanded the return of the entire family arguing that it was necessary for their security. Following this appeal, teachers and high school students went on strike and the event entered the political sphere. Manuel Valls, Minister of the Interior, first asserted that the expulsion was completely legal and the Dibranis’ rights had been respected. At the same time, the Green Party and members of the radical left, part of the Socialist majority, asked for the continuation of the students’ strike. Because of this discontent and the mobilization of public opinion, Valls finally ordered an administrative inquiry to make sure that officials respected all the steps of the procedure. Knowing that the Dibrani family repetitively appealed the administration rulings, this inquiry request was just a way to buy a general consensus. Once again, the French Socialist Party tried to escape what seems to be a taboo subject for its members. Since his election, President François Hollande has dealt with taxes, unemployment, security and budget concerns; nothing was introduced regarding immigration. It is nonetheless a matter of first importance, especially in a country that is still seeking economic recovery. Léonarda refused it. The same day, Harlem Desir, head of the French Socialist Party, openly discussed Hollande’s proposal, arguing for the return of the entire family, except the father. Unfortunately, this clumsy communication and the dissent among the majority tend to reinforce this assertion. Whereas Hollande was part of the socialist politicians who criticized the personal presidency of Nicolas Sarkozy, he seems to reproduce the same scheme, with the exception that the Sarkozy government proved to be much more united. 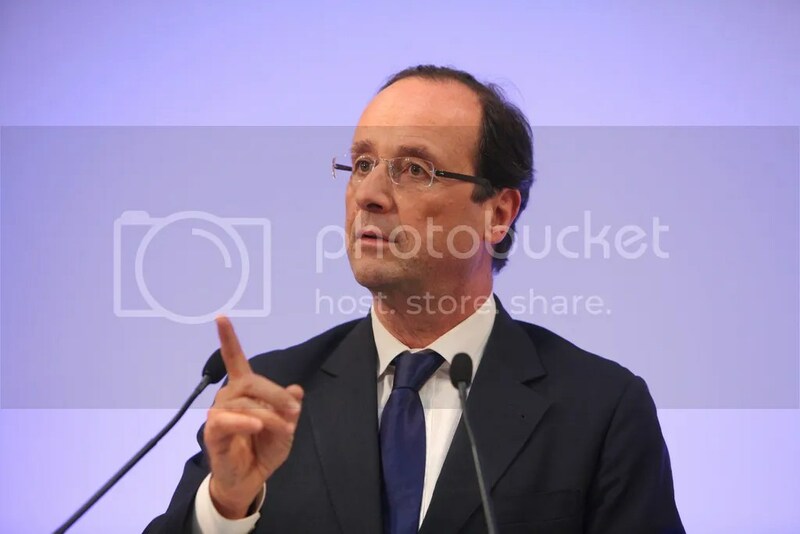 A recent Le Point-Ipsos Poll credited Hollande with only 24 percent of favorable opinion among the general population and 45 percent among the Socialist Party. This political fiasco is about to discredit the Socialist Party merely five months before the municipal elections. Outraged by the incapacity of the government to manage the case of Léonarda, Phillipe Esnol, senator and mayor of Conflans-Saint-Honorine, decided to leave the Socialist Party. He asserted that it was “-an apparatchik party, unable to have a local setting but moralizing everyone-”. David Derrouet, city councilor of Fleury-Merogis, followed him due to his strong disapproval of the budget voted by the socialist representatives on Oct. 19, and expressed his disappointment with the president over his unfulfilled campaign promises. These are elements that foreshadow a rise of the right in the upcoming municipal elections if French citizens decide to use the ballot as a protest vote. Something similar occurred when Nicolas Sarkozy was in power in 2008. The right lost the ruling of more than thirty cities at that time. During that period, the French electorate turned to use municipal elections as a way to express its mistrust toward the government. However, the Socialist Party can rely on the usual high level of abstention to maintain local standing. In Kosovo, Léonarda expressed her strong desire to come back to France with her entire family to secure her future. Even if she was undocumented, Léonarda attended school, made friends, received government benefits in France, experiencing the hope of a better life. She feels now like a stranger to her own country. Herein lies the paradox of the situation.